Stunning 2 story home with modern & high end finishes throughout! Enjoy your large, open living space with hardwood floors throughout. Chef's kitchen boasts granite countertops, SS appliances, large island, range hood, work space and eat-in dining area. Living room features gas fireplace and built-in entertainment center with beautiful tile inlay. Private dining room, office, half bath & laundry room complete main floor. Upstairs features spacious loft used as a family room. Master suite boasts 5 piece master bathroom & walk-in closet. Second bedroom with private full bathroom. Third & fourth bedrooms with 3rd full bathroom. Large unfinished basement- ready for you to make your own! Lovely stone patio with built-in fire pit and BBQ area. 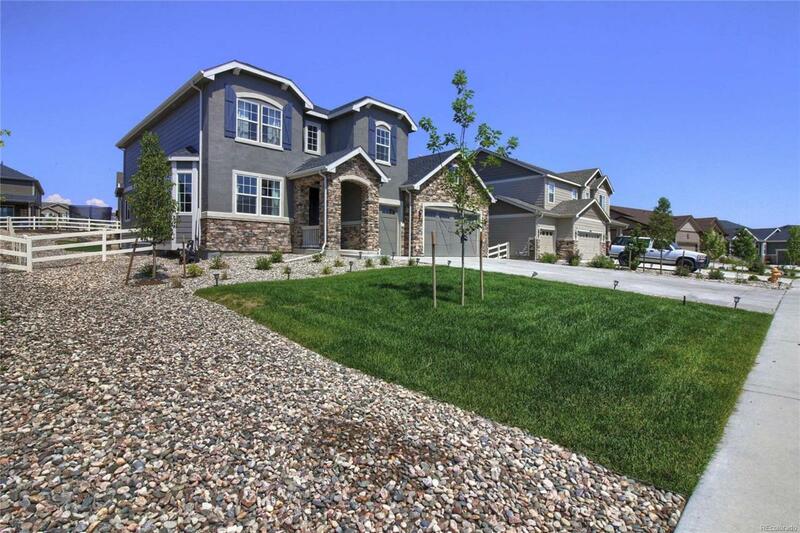 Home sits on a huge 12,000+ sqft lot with a fenced in yard and professional landscaping. HOA includes community pool and fitness center. You don't want to miss this amazing home in the Castle Valley neighborhood!